Advanced SystemCare 9 Pro is the most used and best Windows PC maintenance Software. It automatically keeps your system clean, fast and responsive from junk contents in just one click. 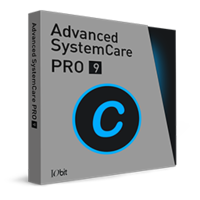 Advanced SystemCare 9 Pro takes total care of your system. Once you have done the basic settings after installation, forget about it. It consists of all the tools that are required to clean and Tune your Windows PC. Once set, you can forget about all the things and ASC 9 Pro will take care of everything. Advanced System Care 9 Pro has 5 tabs the first tab is for manual cleanup. All you need to do here is, select the fields and click on the “Scan” button. Protection Tab is a new inclusion that helps you to manage browser and various other settings bit easily. All options are self explanatory and can be implemented with just click of a button. Toolbox has all the options for manual care. It has modules like Registry Cleaner, Diskeeper, smart RAM boost, Windows fix etc. You can also find Driver Booster which helps you to keep your Windows device drivers updated. Turbo boost allows you to configure the mode in which your want to work. If you want to use it for gaming, it switches off all unnecessary Windows functionality and gives maximum power to the application. It is the most light weight system maintenance tool. The interface is interesting with Modern UI themes suiting Windows 8 design. Upon Installation, you can set all the fields you want auto protection for. ASC will automatically take care of every thing at your specified times or at system idle time. By this was you are always running with maximum speed and response. With ASC Pro 9, you will also be able to get Start menu back on Windows 8/10.